This is a non-craft related post today. 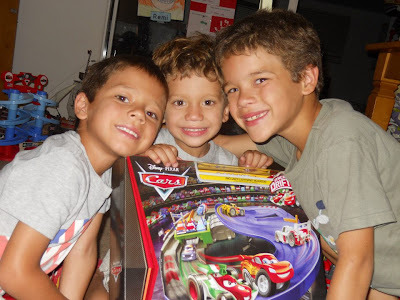 Below is a picture of my nephews, to the left is Desi, in the middle is Dashel, and to the right is Remi. As you can see Dash is holding a present he received for his birthday. I just love his big smile. He turned 3 on August 18th, 2012.